All information on this page is Embargoed until Monday, June 2, 2008 at 11:30 a.m. CDT, to coincide with a press conference at the American Astronomical Society (AAS) Meeting in St. Louis, MO. This embargo also extends to the materials that are linked from thsi page. This discovery was made by the MOA and OGLE Collaborations. Scientific paper accepted by the Astrophysical Journal. Scheduled for the Sept. 1, 2008 issue. Powerpoint presentation from AAS press conference. 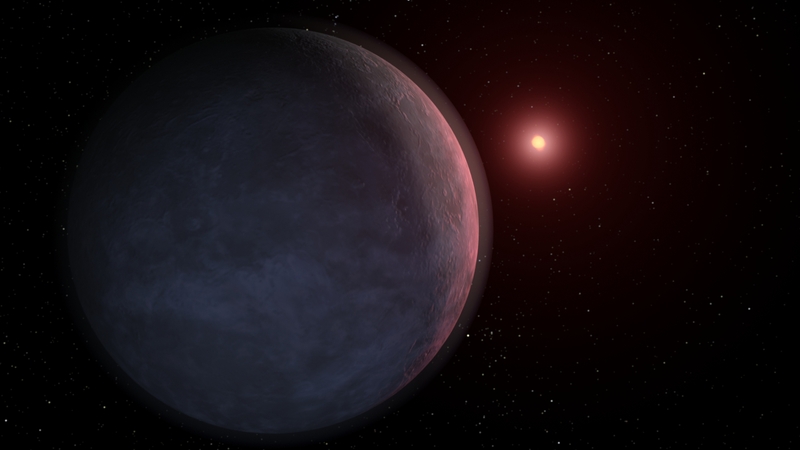 Artist's conception of the newly discovered planet MOA-2007-BLG-192Lb orbiting a brown dwarf "star" with a mass of only 6% of that of the Sun. Theory suggests that the 3-earth-mass planet is made primarily of rock and ice. 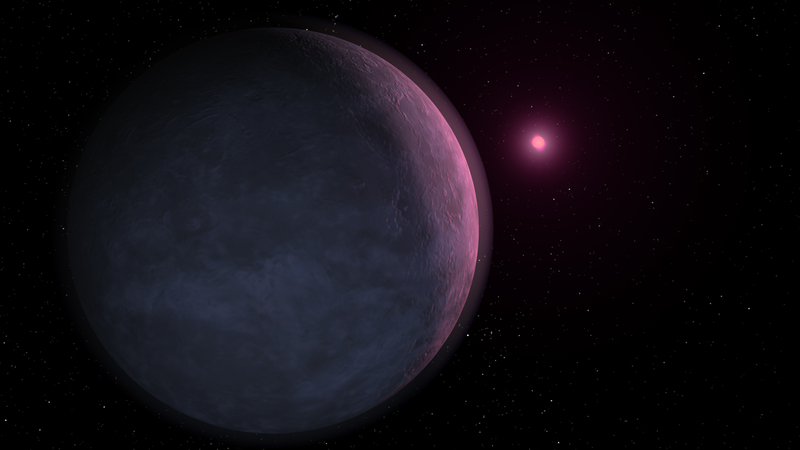 Observational and theoretical studies of brown dwarfs reveal that they have a magenta color due to absorption by elements such as Sodium and Potassium in their atmospheres. High resolution image. An alternate artist's conception of the planet MOA-2007-BLG-192Lb, under the assumption that the host star has a mass of 9% of that of the Sun, which is also consistent with the microlensing data. This would be a red dwarf star about 100 times brighter than the brown dwarf, but 1000 times fainter than the Sun. High resolution image.